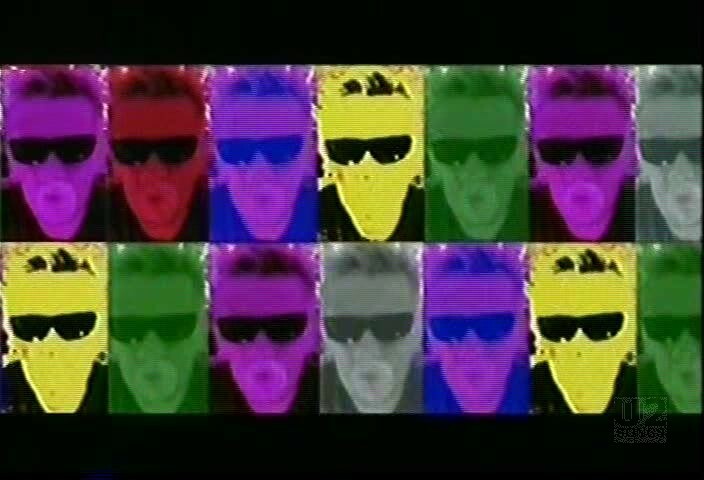 Along with the main version of the Discothèque video, there were two different remix videos prepared. One was set to the Hexidecimal Remix Edit, and one was set to the DM Deep Club Edit. Both remix videos feature some of the footage shot in Pinewood studios for the main video, from the dance party being held in the disco ball. Both remix videos featured a lot of additional footage, including a discoball that rolled down the street, could be seen hanging from a car mirror, hiding in a tree, dancing around in an empty parking lot in a shopping cart, and in one scene where the discoball is surrounded by lemons. 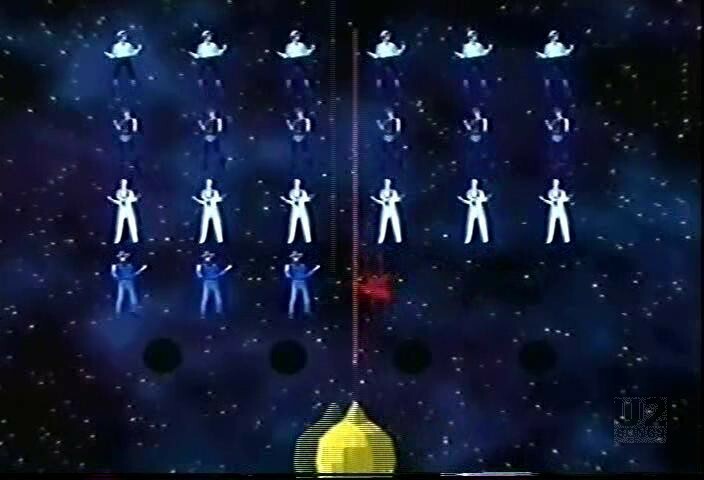 They both also feature a number of graphics which can only be described as U2’s version of Space Invaders, as a wire frame lemon rockets through space, and later shoots dancing versions of U2 out of space ala a video game. 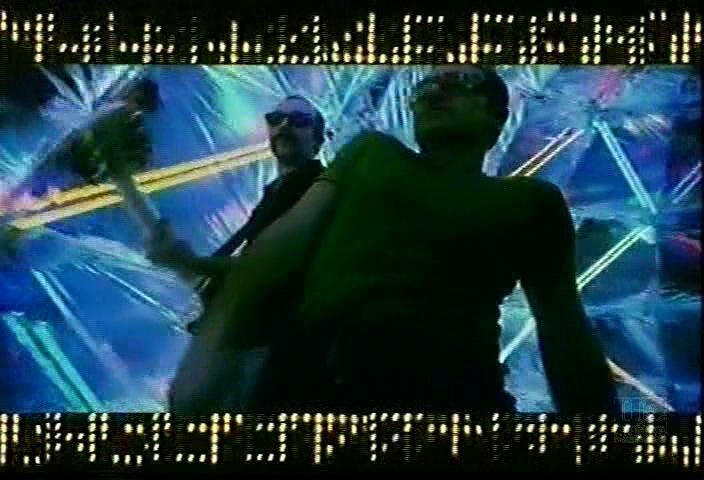 Both videos were put together by John Bland using the footage from the Sednaoui video shoot at Pinewood, as well as this additionally prepared footage. The DM Deep Club Edit opens with the mirror ball that is moving through the parking lot, hanging out with lemons, and hiding in the tree. The Hexidecimal Mix opens with a wire frame ball with U2 written inside, before moving to images of a mirrorball lemon in the centre of a field of colours. The DM Deep Club Edit, uses the lemon footage, before switching to the footage from Pinewood, which has been heavily treated with colours, slow motion effects, and patterns over top. 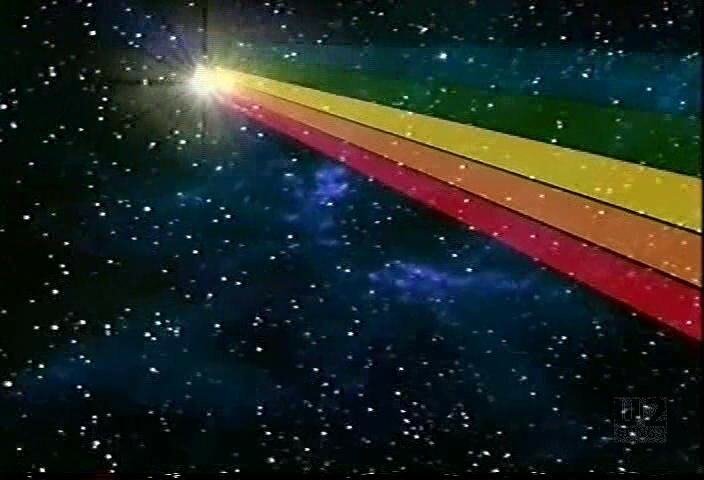 You then see the lemon moving through space. 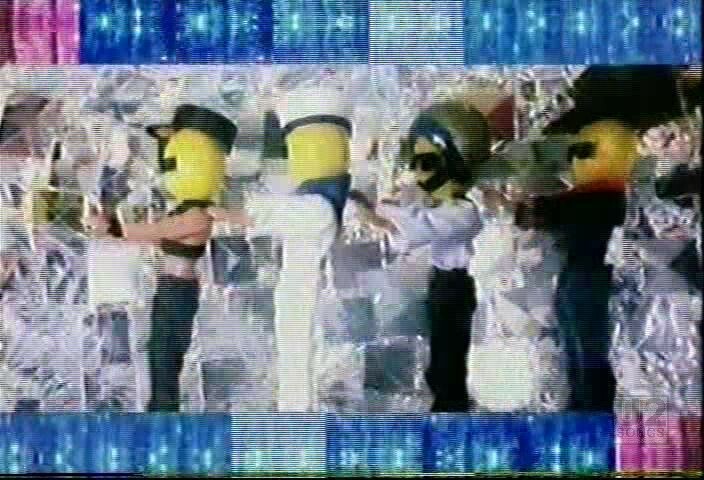 And there is brief footage of a dancer (more can be seen in the other remix video) The video ends with a video game, and finally with shots of four lemons dressed to look like U2 dressed to look like the Village people, which is not used in the other remix video.